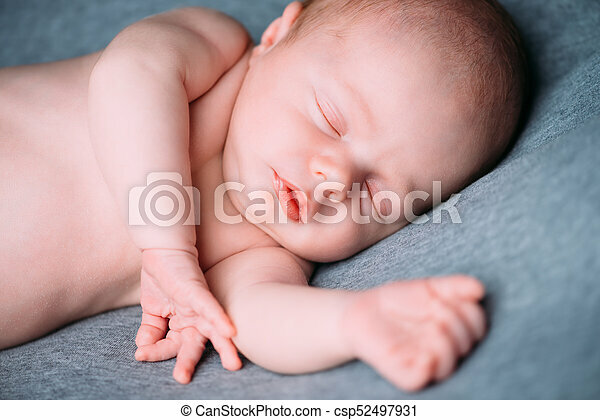 Charming sleeping baby. 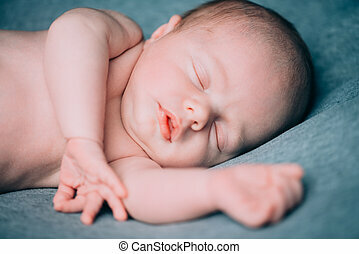 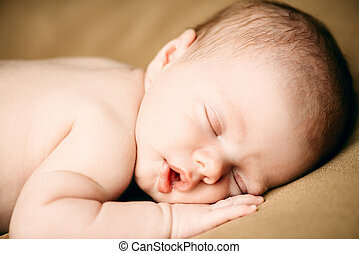 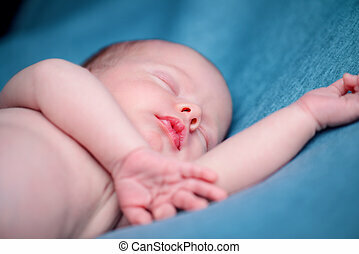 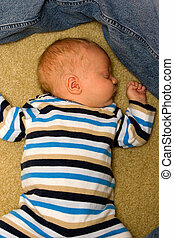 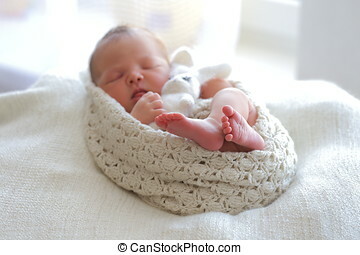 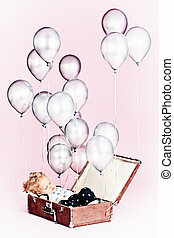 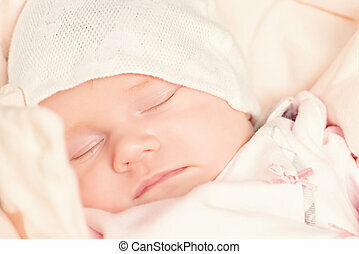 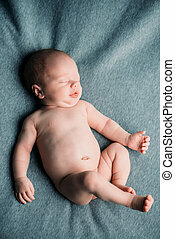 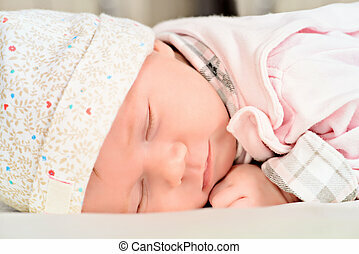 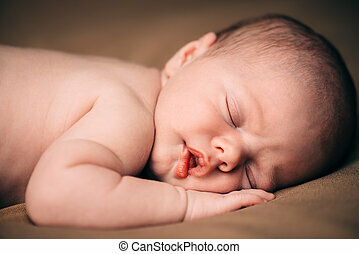 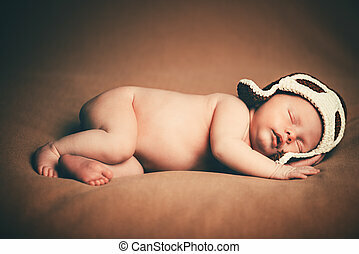 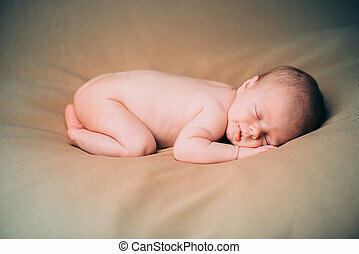 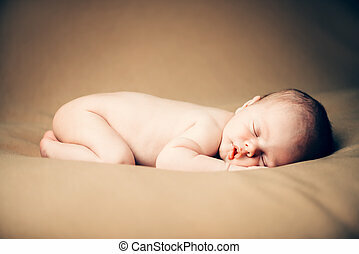 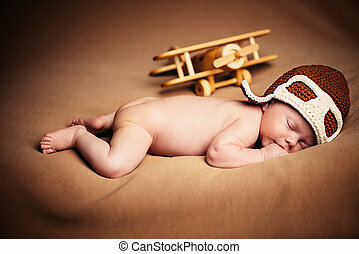 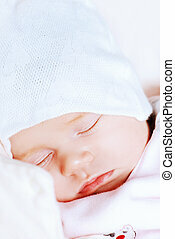 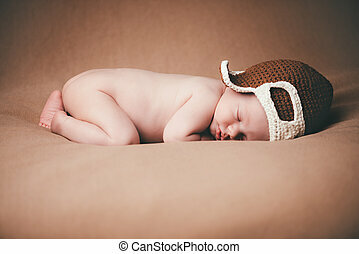 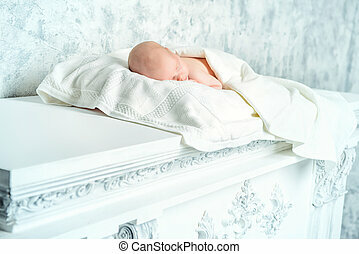 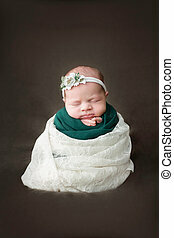 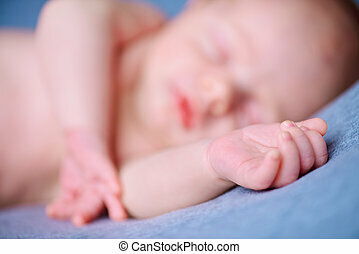 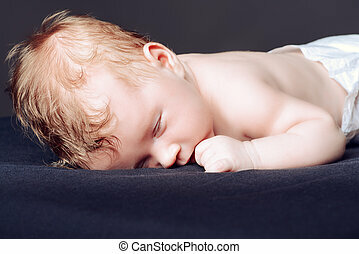 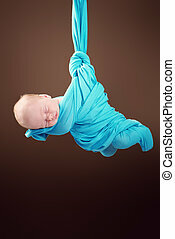 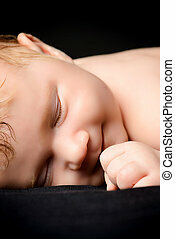 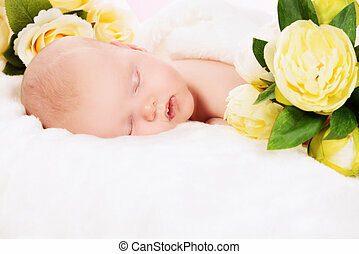 Portrait of a lovely sleeping newborn baby. 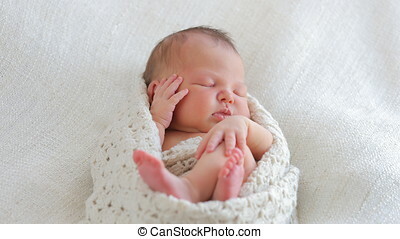 baby care, healthcare. 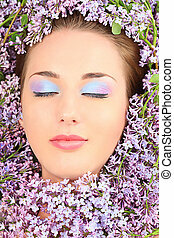 Portrait of a beautiful spring girl in lilac flowers.